"Is Canada's prime minister the free world's best hope?" That's the question Rolling Stone magazine is asking with its new cover story featuring Justin Trudeau. 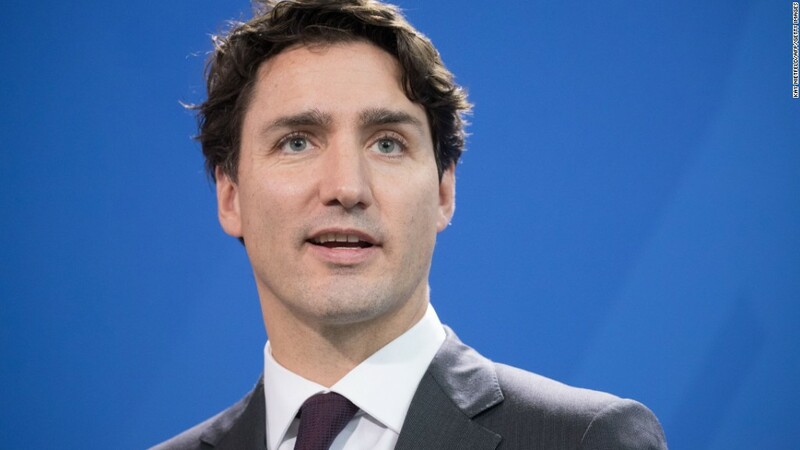 The publication tweeted out the cover photo of Canada's prime minister on Wednesday and posted a link to the feature story written by Stephen Rodrick. The tweeted photo comes with the queston: "Why can't he be our president?" Headlined "Justin Trudeau: The North Star," the cover story examines some of the glaring differences between President Trump and the leader of his neighbor to the north. Rodrick's profile of the prime minister includes some jabs at the US president without actually mentioning him by name. "When Trudeau moves on to his feminist bona fides (women and minorities make up more than half of his Cabinet), he pauses for a moment, but does not lose his train of thought. His words are coherent and will not need to be run through Google Translate when he is done (except if you want to translate his French into English)," Rodrick writes. And then there is this description of Trudeau's physical demeanor: "It's strange to witness: He speaks in a modulated, indoor voice. His dark hair is a color found in nature. At home, there is a glamorous wife and three photogenic children, still not old enough to warm his seat at next week's G-20 summit or be involved in an espionage scandal." There are also some direct swipes at Trump's foreign and domestic policies. "The contrasts between here and there are not just superficial," the story says. "Trump is defunding Planned Parenthood. Trudeau is firmly pro-choice; abortions are provided as part of Canada's universal health care. (We know Trump's position on that issue.)" Rodrick also contrasts Trump's stances on the environment, marijuana laws and the opioid crisis with those of Trudeau. Some Americans looked to Canada for refuge after Trump was elected as president last November. A trove of move-to-Canada memes showed up on the Internet, while the country's immigration department website crashed, prompting jokes and speculation that Americans were ready to flee Trump's America. Rolling Stone isn't the first to make the Trump-Trudeau comparison. Prior to President Trump and Prime Minister Trudeau's meeting in February, the Toronto Star ran a story titled "Donald Trump and Justin Trudeau: A 21-point comparison."